Jeff Sessions thinks Hawaii is not a real state. Jeff Sessions Thinks Hawaii’s Not a Real State. We Shouldn’t Be Surprised. But we must maintain our outrage. Attorney General Jeff Sessions speaks at the Department of Justice on April 18 in Washington. To put that another way, not only is Hawaii not an actual state, according to the chief law enforcement officer of the United States, but Judge Derrick Watson, the federal judge from Hawaii who put his travel ban on hold, is not an actual federal judge. The soft bigotry of soft bigotry marches ever onward. Remember when Trump called the Seattle Republican appointee who upheld an injunction on his first attempt at an immigration ban a “so-called judge”? Remember when that judge needed increased security detail to protect him against the death threats? When the president does it, it’s appalling. But when the chief law enforcement officer repeats slanders about members of a diverse and fragile federal judiciary, it is beyond belief. The same man who so cheerfully read It’s Not Easy Being a Bunny at the Easter Egg Roll apparently thinks it’s challenging to be America’s lawyer. In his interview with Levin, he also tossed in a partisan slander of the 9th U.S. Circuit Court of Appeals to go with his suggestion that Trump’s America has “real” states and lesser states that lurk foreignly on islands in the Pacific. This isn’t just shooting your mouth off on the stump—this is the nation’s top lawyer completely misapprehending what judges do and what states are. 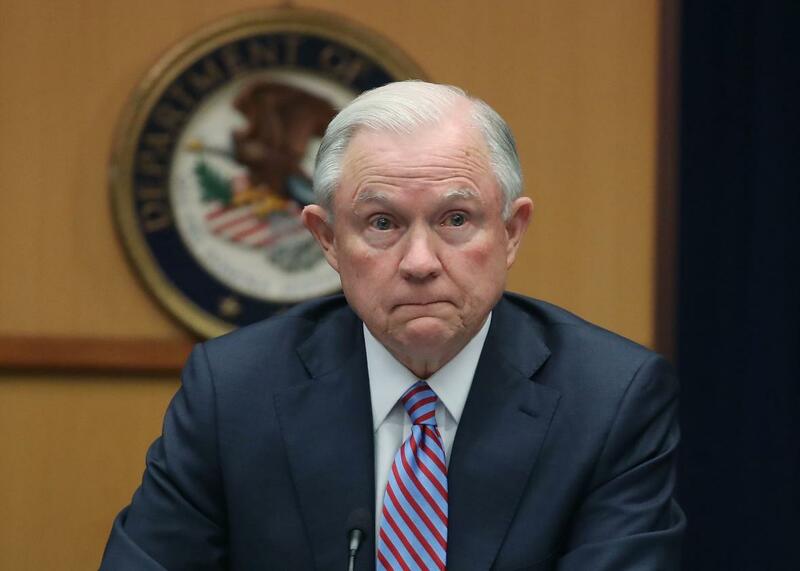 There is a long, overtly racist history of discrediting the legitimacy of Hawaii’s statehood that Sessions has just tapped into, and there is a burgeoning and overtly racist and geographic move toward discrediting the legitimacy of federal judges. Good thing the attorney general doesn’t have to deal with the courts and the law in his new job. Nobody doubts for even one second that it’s 1959 every single day in Sessions’ brain. We were warned. Still, we persisted. But it’s hard to think he wasn’t fully aware of the grievous insult he was hurling at the federal judicial branch this week. Remember back when it seemed like maligning a federal jurist for his geographic origin would be disqualifying for a presidential nominee? We were wrong about that. And apparently now it’s what we ought to expect from the nation’s top lawyer.